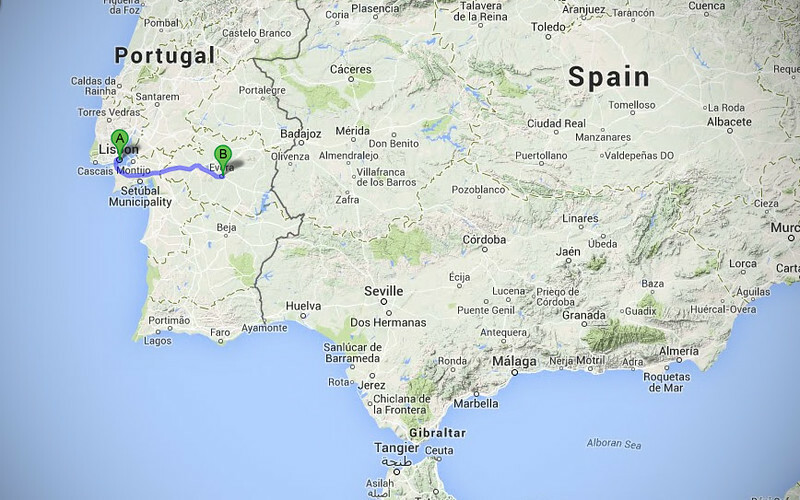 We originally wanted to head further north into Portugal to visit Coimbra and Porto. 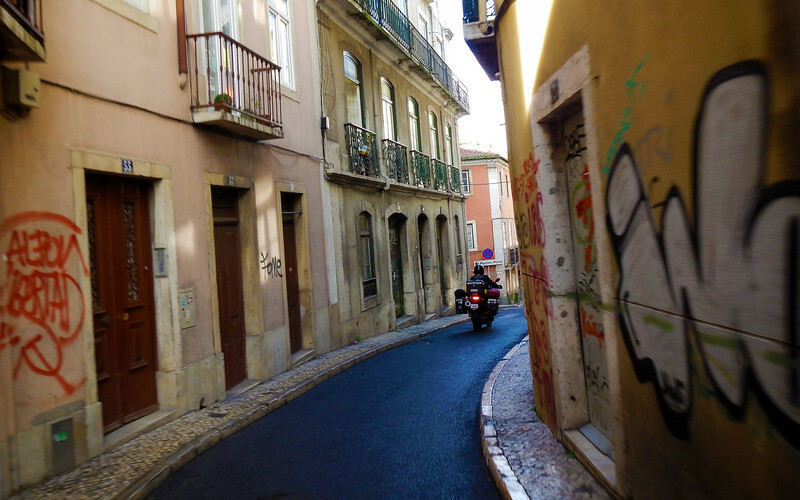 Marco had given us a list of all the touristy sights that they were going to see and we wanted to follow in their footsteps (albeit a bit more slowly) and possibly meet them as they made their way back to Lisbon. 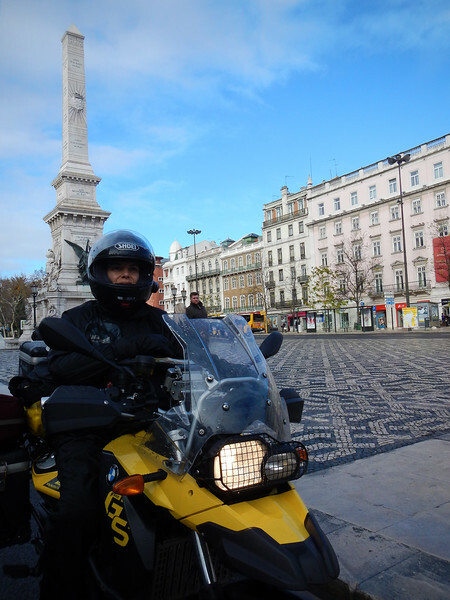 They were our advance reconnaissance team, and when they reached Porto, Lori PMed us and told us to stay in Lisbon. 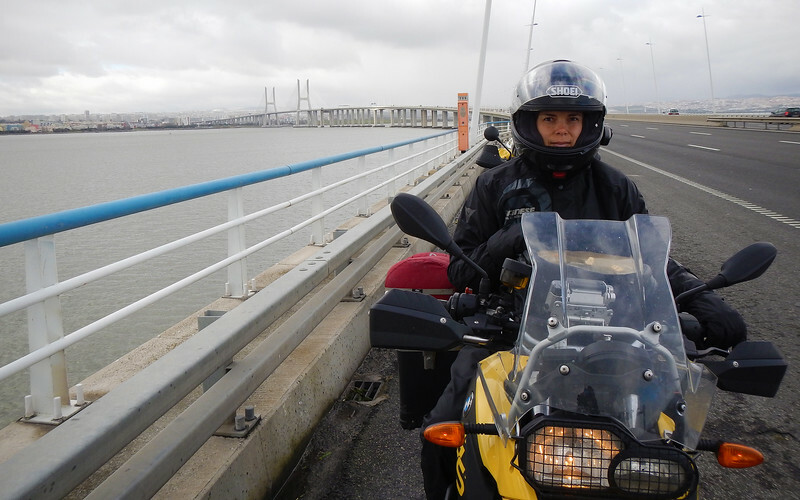 It was cold and rainy where they were - still too early in the season to take motorcycles up there. 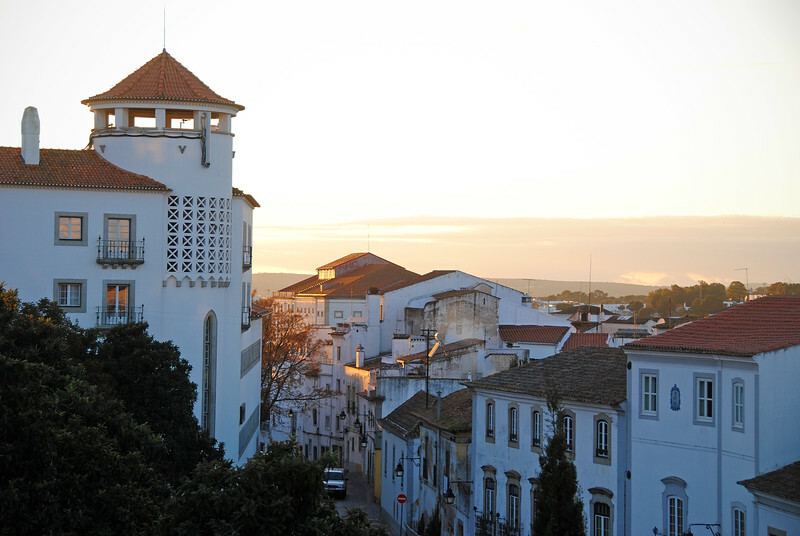 They also tell us that this is unseasonably frigid and wet for Portugal this time of year. I replied, "Yep, RideDOT.com in da house". So we're off to someplace warmer and drier. Not north. It's as if the warranty for everything we own just expired all at the same time. Normally, I'd be serving cheese with all of this whine, but Neda is lactose intolerant... Add *that* to the list! 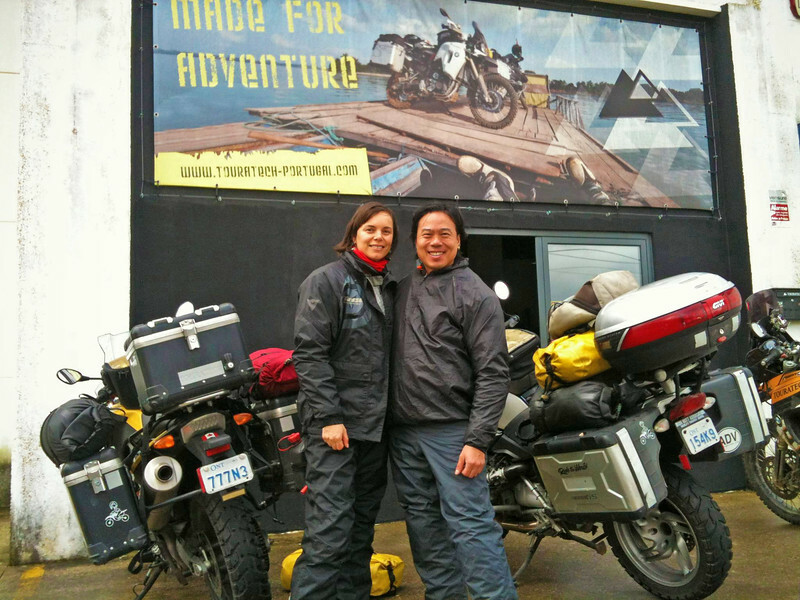 Dropped into Touratech to check out their bags and see if they have a replacement seat for Neda's bike. No luck, but we did get our picture taken for their Facebook page. 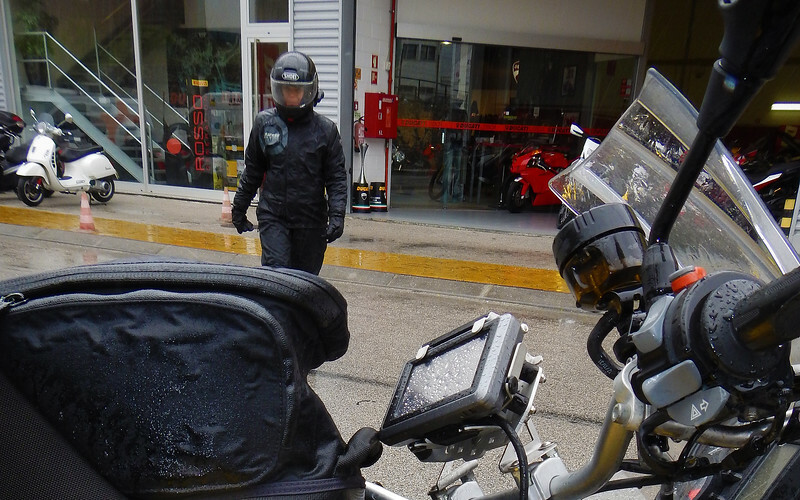 Visted the Ducati dealership in the pouring rain. So we didn't manage to get anything replaced or fixed in Lisbon... :( kthxbye. 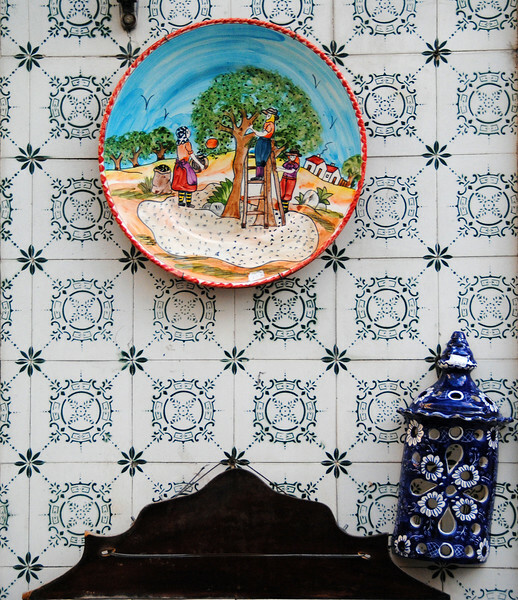 Azulejos are tin-glazed ceramic tiles which are used to decorate the outsides of buildings, walls, floors and even ceilings. 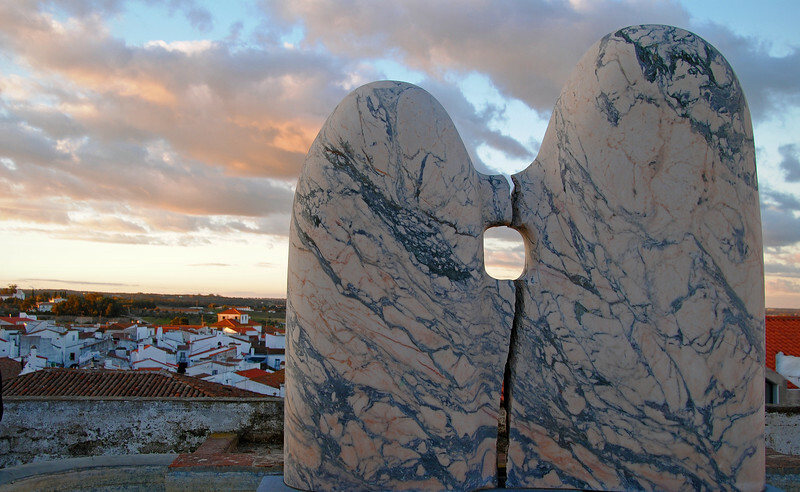 They're not only ornamental, but also serve double-duty as a sort of insulation for temperature control. Skull protrudes from a pillar. This was somebody's head attached to a body at some point. 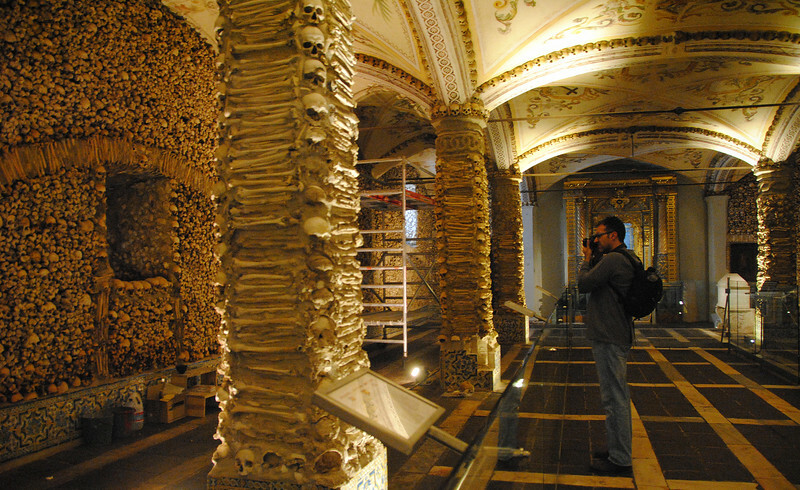 Thousands upon thousands of bones stacked up againt the wall. 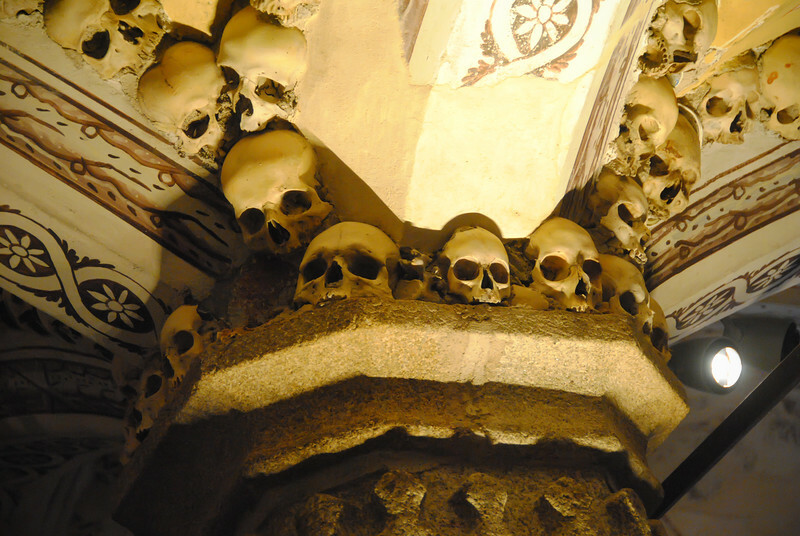 The Chapel of Bones was built in the 16th century by a monk who wanted to bring home the point that life is transitory. 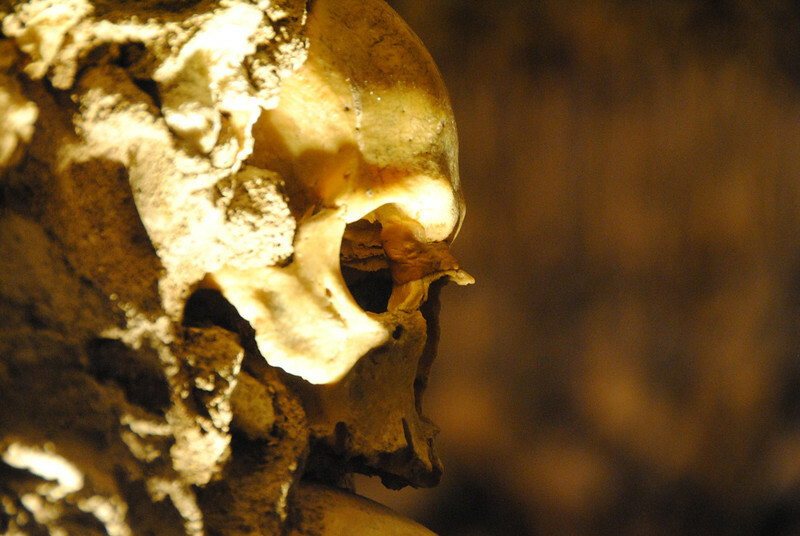 The bones are the remains of his fellow monks. Perhaps there could have been a less creepy way of making his point? At the entrance of the chapel there's a sign that reads, "We bones, lying here, for yours we wait". 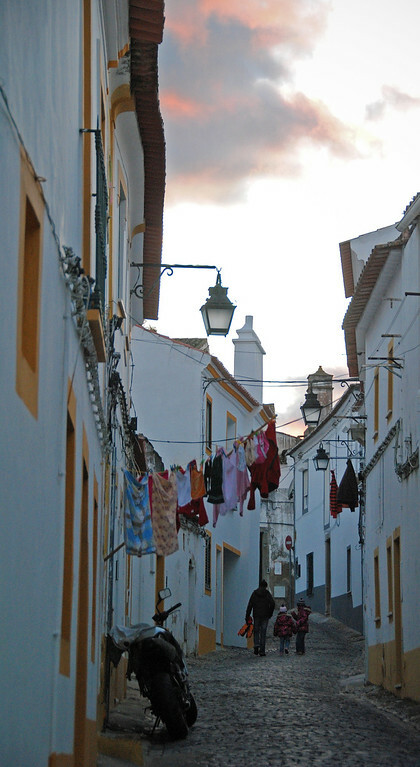 Clothes being hung out. To dry? 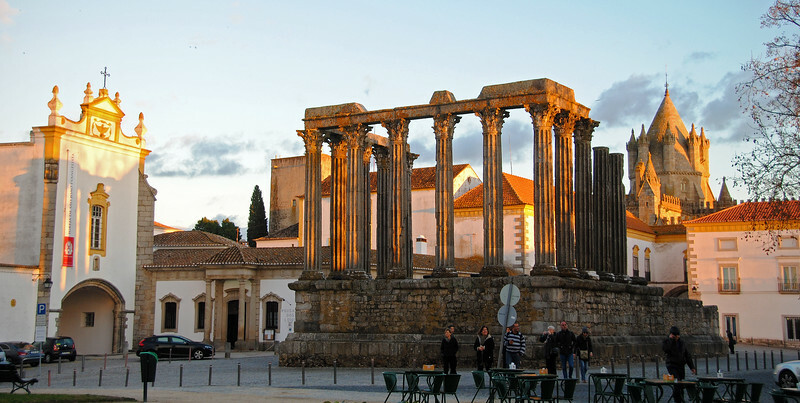 Ruins of a Roman temple in Portugal, beautiful churches and castles surround it. 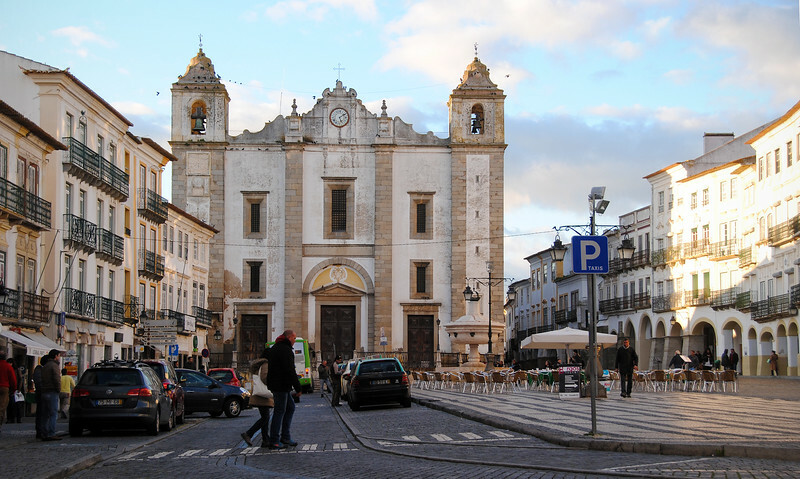 We found out that Évora is a UNESCO town, ie. total GringoTrail Town. Main economy: tourism. 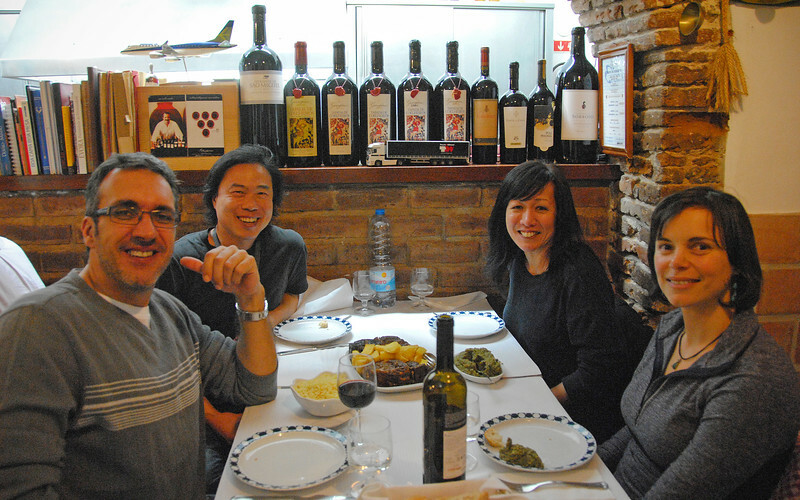 Marco took us to his favorite restaurant in Évora. It was so well hidden, we worked up an appetite trying to find it! For dinner, the restaurant served Black Iberian Pig, which was indigenous to the Évora region, and it was all-you-could-eat. Marco's gluttony was contagious and we all gorged ourselves silly on all this delicious food! It was a great way to end a fantastic time with our old hometown-friends. 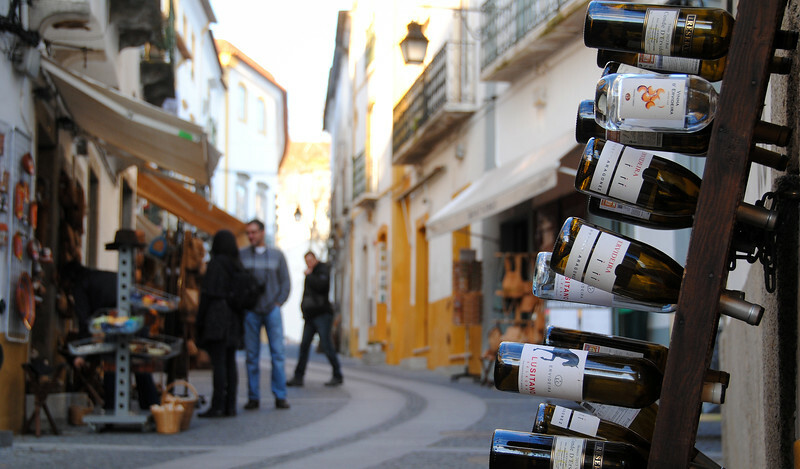 But now with our plans to explore northern Portugal stymied, we had to figure out where to go to escape the cold weather.